My attention has been drawn to fallacious comments made by the notoriously dishonest Minister of Information, Alhaji Lai Mohammed, to the effect that the Jonathan administration did not act on time when the Chibok Girls were kidnapped whereas the Buhari government acted promptly when the Dapchi Girls were kidnapped. Speaking at the foundation laying ceremony of the Editors’ Plaza by the Nigerian Guild of Editors, Lai Mohammed said: “Now, don’t compare orange with apple. When Chibok girls were kidnapped, it took the PDP government 18 full days to admit that the girls were kidnapped. This time we swung into action within 24 hours”. Lai’s comments are reminiscent of the statement made by Presidential spokesman, Femi Adesina, justifying President Buhari’s inaction on killer Fulani herdsmen because the herdsmen also killed during Jonathan’s tenure. 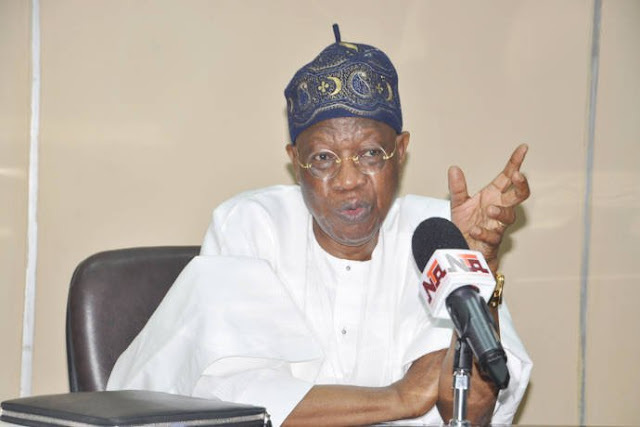 When will Lai Mohammed respect his old age and stop lying? Is he not ashamed at the storm he is currently facing on social media after he lied that 100 planes are searching for the Dapchi Girls, a statement that was promptly denounced as a lie by the Nigerian Air Force? Even members of his own government know Lai Mohammed is a liar. For the avoidance of doubt, it is not true that the Jonathan government took 18 days to admit that the Chibok Girls were kidnapped. The Chibok Girls were kidnapped on April 14, 2014. Exactly three days later, on April 17, 2014, then President Goodluck Jonathan called an emergency National Security Council meeting at Aso Rock Presidential Villa. If the Jonathan administration did not admit that the Chibok Girls were kidnapped, why would the President summon a Nation Security Council meeting? Now more than a week after the Dapchi Girls were kidnapped, has President Buhari held a National Security Council meeting to address the situation? No he has not. As a matter of fact, to prove to Nigerians how inept he is, the President canceled this week’s Federal Executive Council meeting. Which serious leader cancels the most important meeting in his nation at a time when Kaduna is facing ethnic and religious killings, Zamfara is facing mass killings by bandits, Benue, Plateau, Adamawa and Taraba are facing an onslaught from Fulani herdsmen and 110 girls were kidnapped in Dapchi? Going back to the Jonathan administration, the Nigerian Army and Air force began searching for the girls after the emergency National Security Council meeting on April 17, 2014, with sorties being flown in search of the girls. But very curiously, Nigerians would recall that the All Progressive Congress Governor of Borno State, Governor Kashim Shettima, admitted in an interview he gave Premium Times on April 2, 2016, that he deliberately did not inform the then President about the Chibok kidnap when it happened. President Jonathan had to find out from military forces on the ground. Why would the chief security officer of his state be that negligent? My advice to Alhaji Lai Mohammed is that he should direct his lying talents to the specific task of cooking up lies to counter the testimony of the APC Yobe State Governor, Ibrahim Geidam, who blamed the kidnapping of the Dapchi Girls on the Buhari administration. According to Mr. Geidam, the Nigerian Army under President Buhari pulled out the troops guarding Government Girls Science and Technology College, Dapchi. Who gave the order for the troops to leave their guard duty? The sector command has said that they handed over security of the school to the Nigerian Police Force, an assertion that has been denied by the police. These are the things that should concern Lai Mohammed, not a contest with an administration that scored higher anti-corruption ratings from Transparency International than the corrupt government he is serving. And if he has too much time on his hand, Lai Mohammed can travel to more European football clubs to disgrace himself and his family by wearing a suit jacket on top of an agbada. Let me end by saying that whoever named Lai Mohammed at birth must have been a prophet. The person was able to look far ahead into Lai’s future and gave him a name that rhymes with his life’s purpose. Reno Omokri Number One Bestselling author of Facts Versus Fiction: The True Story of the Jonathan Years, Chibok, 2015 and the Conspiracies.